We ran the quantitative model with the identified uncertainties included, and we reviewed and discussed the financial outcomes with the development managers. The model was based largely on the cash flows generated by categories of tenants (Table 1). For each category, the primary drivers of income were the gross lease area (GLA, in square metres), productivity (in turnover per unit of GLA) and base rent. Expense drivers were also considered. During the workshops, each item in the model structure was addressed. The main assumptions, sources of variation and high, low and likely scenarios were discussed, and values associated with each of the scenarios were assessed. Detailed notes on the discussions were maintained in data tables. The quantitative risk model was built in Excel, and distributions were combined using simulation with @Risk. 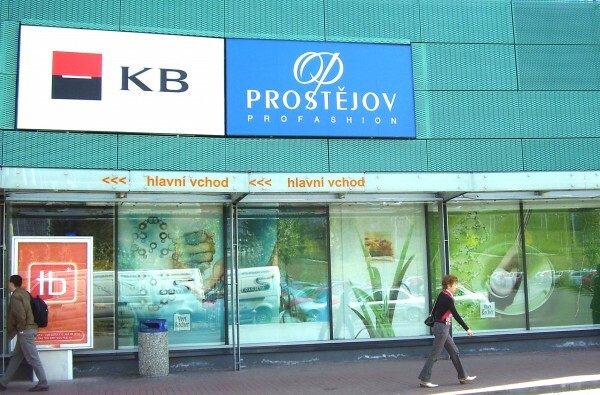 Correlations were included – for example, the productivities for most categories would rise or fall together according to the characteristics of the local catchment for the centre, with the Level 1 anchor tenant following a different but related pattern due to the different nature of its target customer base. 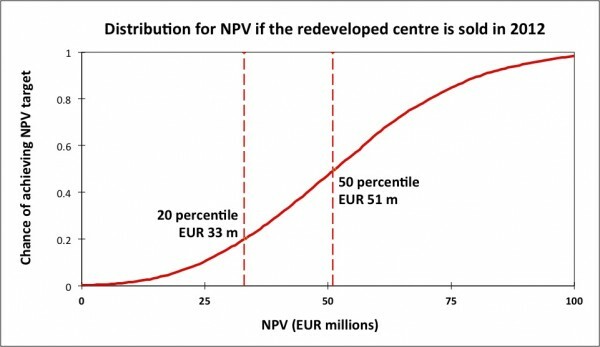 In any specified year, the quantitative model developed a distribution of the net present value (NPV) of the centre if it were to be sold in that year (Figure 1). The NPV was based on the estimated net cash flows from now to the year of sale, with associated assumptions about the overall redevelopment plan and the terminal value. 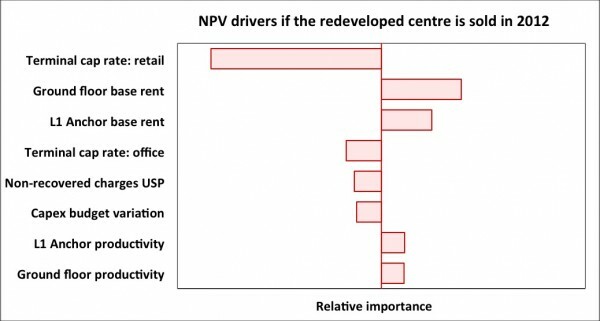 The principal driver for the variation in NPV was the terminal cap rate for the retail component, followed by the base rent for the ground floor of the redeveloped centre. Non-recovered charges for the Level 1 anchor tenant, capital cost variation for the construction activity and productivity were of lesser importance. (The rent for the Level 1 anchor tenant was linked to the ground floor base rent, and the terminal cap rate for the office component was linked to the terminal cap rate for the retail component.) The productivity was of relatively low importance because the base rent dominated turnover rent for several important categories of tenants in the early years.